We ensure your qualifications are recognised We issue recognised qualifications At the end of the course, you graduate with a qualification that is recognised regionally and internationally. Click for the list of Accredited Courses. Make sure you become a Registered Provider Find out about the registration process All post-school education and training (PSET) providers must be registered with VQA in order to deliver accredited courses. Click for the details of the registration process. Hire employees who have done an Accredited Course Get employees with a quality education Accredited Courses delivered by Registered Providers are quality assured by the VQA. This is your guarantee for well educated employees. Click for the Vanuatu Qualifications Framework. Choosing the right course for youWhat do you need to look out for when you are selecting a course to study and a provider that you want to go to? Course Accreditation OverviewOnly when you are delivering accredited courses will your students be able to get a VQA endorsed certificate. Information and help for students You lost your certificate? Want to know more about PSET providers? Then you're at the right place. The Industry Skills Councils The ISCs assists VQA in the development of courses after identifying the industry skills needs. Since the establishment of VQA in 2014, VQA registered a total of 35 training providers around Vanuatu. 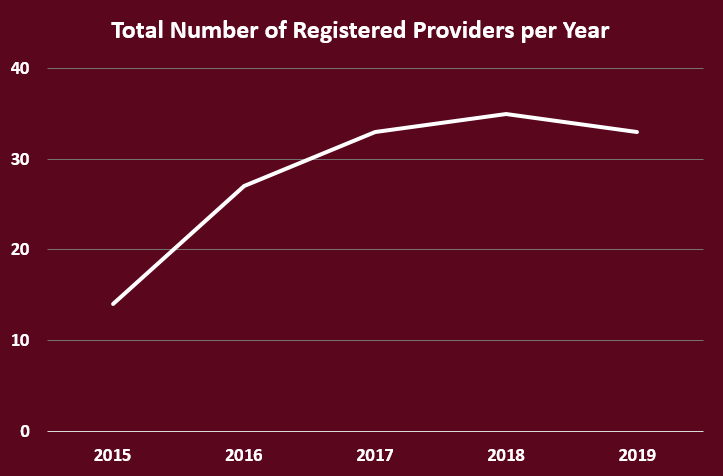 In 2019, 2 providers where de-registered. With the goal of registering all PSET Providers in the country, this means that currently 47% of the goal has been achieved. 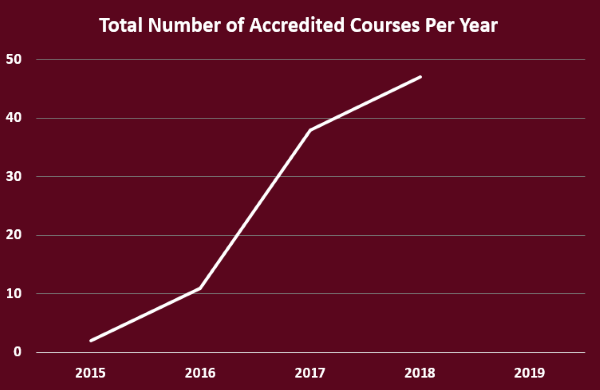 Each year, VQA receives more than 10 applications of course accreditation, which are thoroughly assessed before submitting to the VQA Board for approval. Currently VQA has accredited a total of 47 PSET courses around Vanuatu.